Yowza. I made a version of this last year with homemade frozen custard and some additional mini chocolate easter egg candies -- and it was fantastic -- but the Cadbury creme flavor did not carry through. 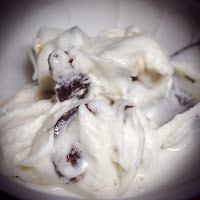 So, I decided to try a more direct version that is much simpler and you can quickly make at home (without an ice cream maker). 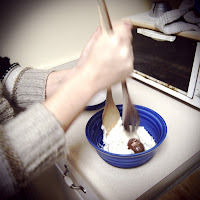 The idea wass to mix in the crushed Cadbury eggs in a cold bowl with your favorite flavored ice cream (sort of like those franchise places with the frozen marble). 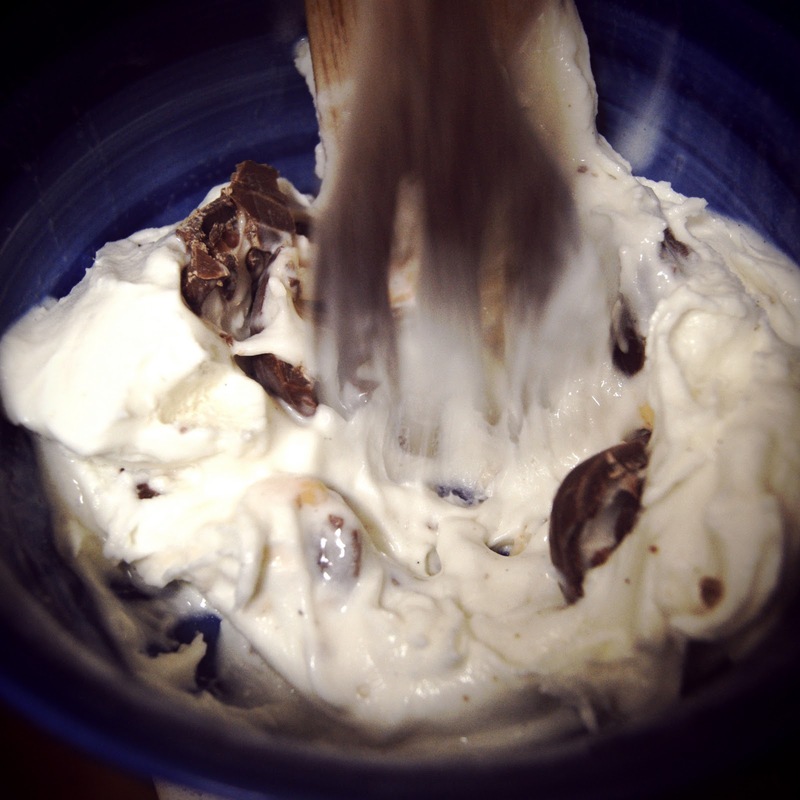 As you can see, we experimented with vanilla, but based on our findings other simple flavors would be just as tasty.